Through lineup changes, shelved albums, member departures, band break-ups, one-off reunions and full-on reformations, the Toadies are an act that has experienced nearly everything — except, perhaps, the freedom to grow as they choose. On July 31, the Toadies will release their fifth full-length album — a disc fittingly called Play.Rock.Music., because, perhaps for the first time in their career, the band feels capable of unapologetically doing just that. Immediately, fans of the band ecstatically welcomed the Toadies' return. On stage at Lollapalooza and Austin City Limits, they played to the largest — and maybe even rowdiest — crowds of their careers. On tours in support of No Deliverance, they played across the country to sold-out rooms and eager audiences. Refreshed and inspired, the band launched their own annual festival in 2008, and, each summer since, thousands have traveled to remote Texas locations to attend Dia De Los Toadies — not only to observe the festival's namesake in action, but to watch the band's favorite up-and-coming Texas talents as well. This past spring, the band, joined by Grammy-nominated producer Chris "Frenchie" Smith (Jet, Built to Spill, ...And You Will Know Us By The Trail of Dead), entered an Austin recording studio with a clean slate — and, for the first time in the run of the band, Lewis says, without any fully written tracks in tow. So much so that the sessions, which were originally planned so the band could record a new EP release, ended up providing the Toadies with a complete full-length's worth of material. And not for naught: The songs on Play.Rock.Music. are some of the best the Toadies have ever released. The trademarks of the band are all present — Lewis' howl, the chugging guitars, the unrepentant angst — but they're also improved upon. The Toadies don't make pretty music. They make music that music that crawls under, into and through your skin. They make music that makes neck hairs stand on end. They make music that begs to be blasted at full volume — with haunting lyrics that bear their battle scars proudly. The Toadies do that masterfully on Play.Rock.Music. And, Lewis promises, they plan on doing that for many other records to come, too. Surrounding the release, they'll proudly showcase this new material this summer – first, while on tour with fellow '90s stalwarts Helmet and, later, at their fifth annual Dia De Los Toadies event in New Braunfels, Texas, on August 31 and September 1. 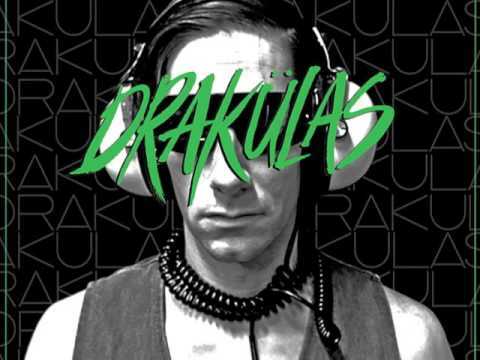 Drakulas is a band from Texas.